Romanian Workers Accidentally Discover 5.5 Million-Year-Old Sealed Cave Teeming With Freakish, Bizarre Looking Creatures. The “world within a world” is a tantalizing concept advocated by sci-fi and fantasy writers, but so far it only existed in the realms of imagination. But truth can be stranger than fiction, and nature takes a vicarious delight in putting its foot in the spokes of the well-ordered, physical world of humans. One such foot is the bizarre creatures of Movile Cave, a chemical (chemosynthesis) world existing within the organic world of humans. In the southeast Romania, close to the Black Sea, lies a cave that has remained completely cut off from the outside world for 5.5 million years. In Constant County, Romania, close to the Bulgarian border, lies a bleak, unremarkable land. The plains have nothing notable except for one thing – a cave beneath the land which has led a cloistered existence for 5.5 million years. While Earth was evolving prodigiously with Primates descending from the trees and advancing to Homo Sapiens, this world beneath existed completely sequestered from the outer world. The lack of sunlight has not stopped the evolution of life. There has been a complete lack of light and a choking, poisonous atmosphere in the cave. But this toxic atmosphere has helped in the creation of bizarre creatures that have never before been seen by humans. There exists unique scorpions, spiders, woodlice, and centipedes who owe their lives to the presence of a strange floating mat of bacteria. The cave was discovered by Romanian scientist Cristian Lascu. In 1986, Communist workers who were testing the feasibility of the land for a power plant stumbled across the cave by accident. Cristian Lascu was the first to make a descent into the cave. The Romanian authorities have sealed the land preventing unauthorized entry. Fewer than one hundred people have ever seen the interior of the cave. It’s a number comparable to the people who have gone to the moon. The cave can be accessed by descending a narrow shaft and climbing down through an ochre clay-coated, limestone tunnel in total darkness in a temperature of twenty-five degrees centigrade. The tunnel opens into a central cavern which in turn opens into a lake. Microbiologist Rich Boden says that the cavern is hot and humid and smells of rotten eggs. The atmosphere contains poisonous gasses and is very low in oxygen. 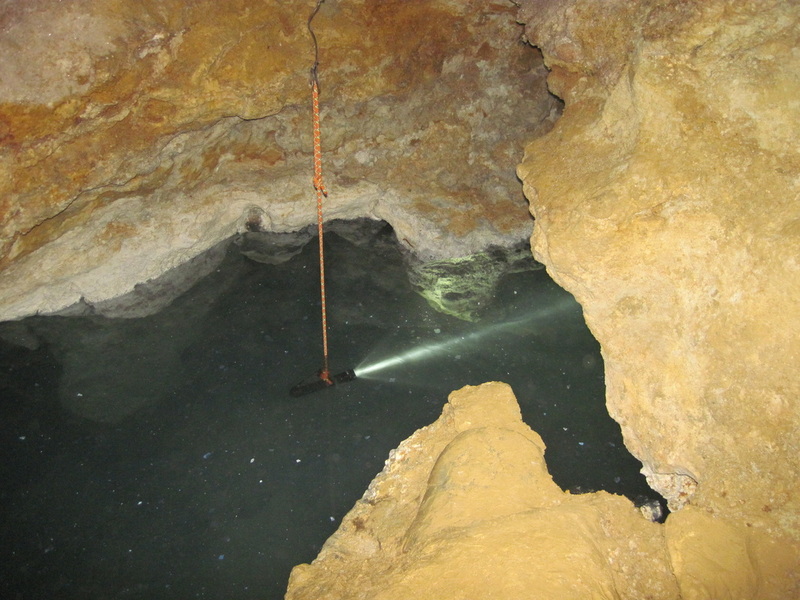 In 2010, microbiologist Boden visited the cave and described it has a hot and humid place. He further adds that the sulphuric pool gives off hydrogen sulfide gas when disturbed. The atmosphere is laden with poisonous gasses and has a negligible amount of oxygen. The oxygen that is present, which makes up only ten percent of the atmosphere as compared with the normal range of twenty percent) is not sufficient for breathing. It can cause a headache if you spend a continuous five to six hours. Also, the humid fumes from the poisonous water can harm your kidney. Despite the lack of sunlight and the overwhelming presence of a poisonous atmosphere, the cave is teeming with life. The cave has all sorts of creepy-crawlies and slithering things. There are leeches that swim on the water to prey on the hapless earthworms. Shrimps and snails graze on the microbial mat. These grazers are prey to deadly predators: spiders and scorpions. Strangely, the worse the air, the greater the number and variety of life forms. A frothy, foamy microbial mat floating on the surface of the water provides nutrition for the cave-dwelling life forms. The cave doesn’t possess any nourishment in its pool, nor does it have stalactites or stalagmites dripping nutrients from above. Instead, food comes from a floating film that looks like wet tissue paper. This ’tissue paper’ is composed of millions of bacteria known as “autotrophs”. These autotrophs use chemosynthesis to get their energy. 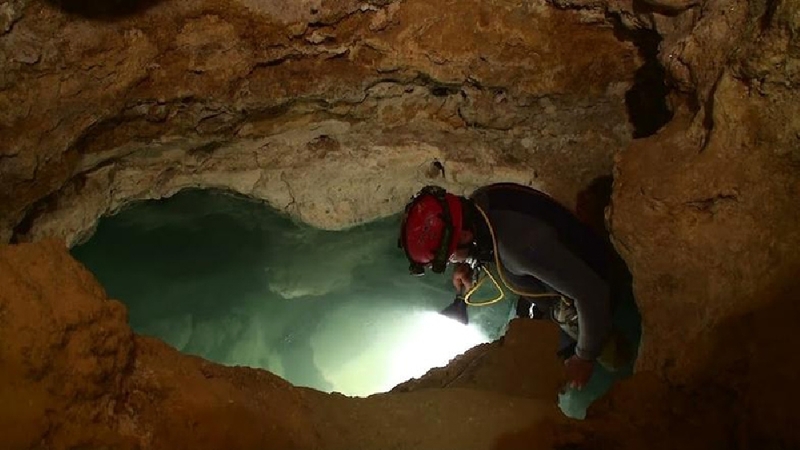 Another group of bacteria known as “methanotrophs” survives on methane found in the cave. They, in turn, release metabolic intermediates, like methanol, providing food to the other bacteria in the food chain. Movile Cave is the only such ecosystem on land that supports its food chain in this way. J. Colin Murrell, a microbiologist, however, says that these bacteria are remarkably simple and there is nothing unusual. The same cannot be said about the creatures living in the cave. Million of years of sequestered existence has completely changed them. Most of the animals do not have eyes. They have long appendages like antennae to help them feel their way around. The lack of pigmentation has led to a translucent skin. There are no flies, yet the spiders spin their webs to capture small insects known as “springtails”. Forty-eight species of animals were found in the cave. They include leeches, spiders, scorpions, and other insects. In 1996, researchers categorised the animals. They discovered that thirty-three of them are endemic to the cave. They included a centipede, three species of spiders, four species of isopods, and an unusual looking creature known as a “water scorpion”. One of the spiders is closely related to a spider that is found in the Canary Islands which lie off the northwest coast of Africa. Theories about the origin of the life forms within the cave abound. The presence of these unusual animals has generated various theories. One theory speculates that the climate of the northern hemisphere changed about 5.5 million years ago at the end of Miocene Epoch. The movement of the continent of Africa to the north caused the Atlantic Ocean to dry up. The freezing temperatures could have forced animals to seek shelter underground in places such as Movile Cave. The steady warmth and lack of predators or competitors may have led to the flourishing of lives in the underworld haven. Another theory states that the animals might have arrived at various times. This theory gains credence in the light of the fact that the cave’s only snail is just over two million years old. This means it entered the cave when the ice age was beginning. The cold may have pushed the snail underground. The Movile Cave’s life forms provide valuable information on global warming and evolution of life on earth. The bacteria’s ability to oxidise methane and carbon dioxide, both important components of greenhouse gases, may offer us a precious insight on how to tackle the global warming. 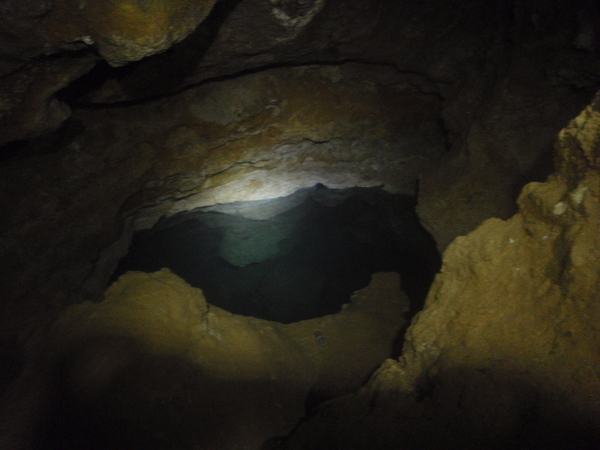 The conditions in the cave are similar to primordial earth when life first evolved. It could be that the first living forms were similar to the animals found in the cave. This offers valuable information about the evolution of life on earth. Despite 30 years after its discovery, the Movile Cave hangs on to its secrets. There are many more organisms yet to be identified and their secrets to be revealed. Perhaps, Movile Cave will help us in understanding the capricious nature of our mutual home, the Earth. You can watch the exciting underworld life of Movile Cave here. Next article 24 Fun Facts About The Movie ‘DeadPool’ That Every Fan Must Know!